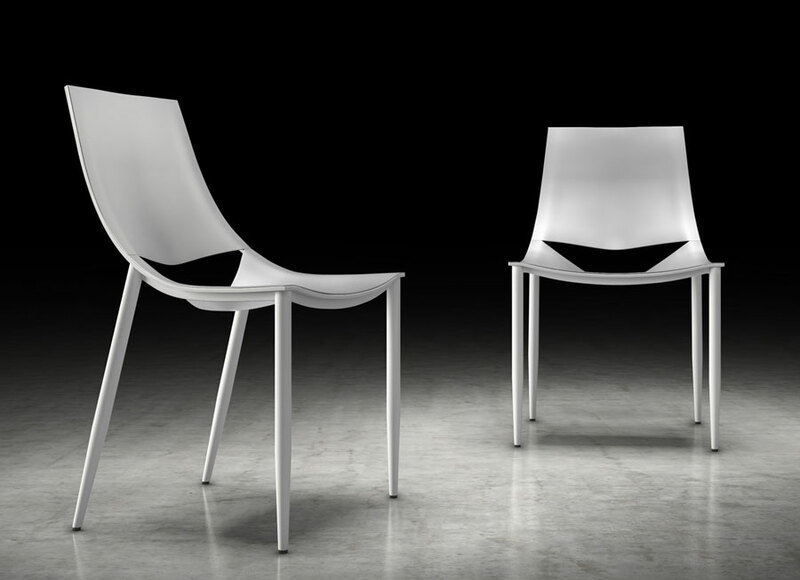 An iF Product Design Award Winner from 2012, the Sloane Dining Chair is one of our favorites. 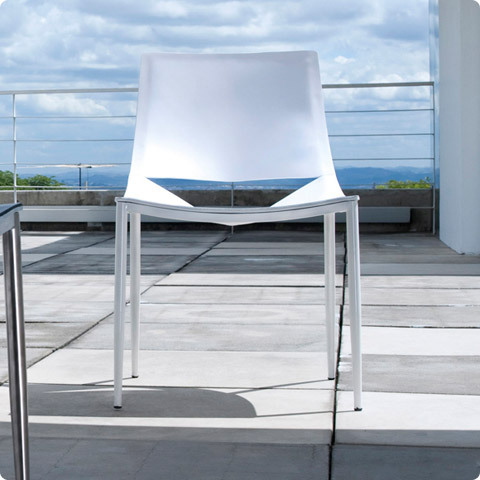 With a low back design and slimmer stature, it's an ideal chair for any modern or contemporary home. Sloane features a taut leather seat and back, and an incredible marriage of classic contemporary elements. The Italian-inspired leather pairs perfectly with the bold geometry sweeping of the seat and back. Steel legs complete the contemporary styling! Seat height 18". 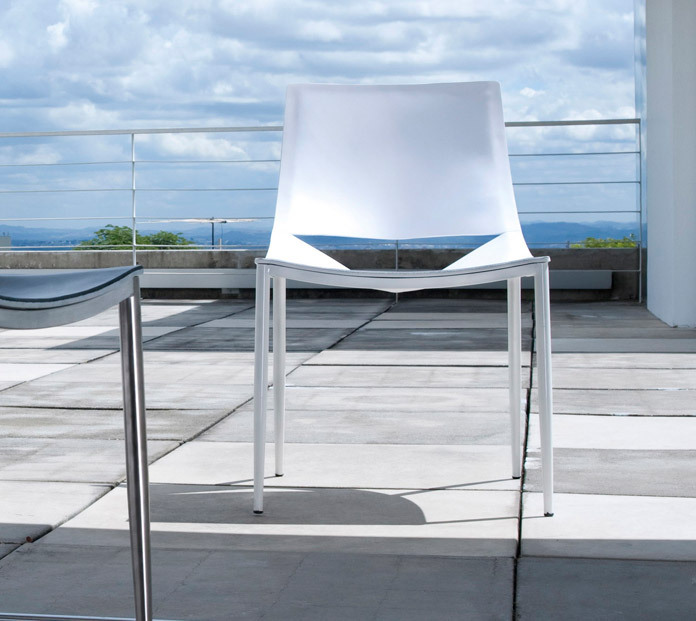 Available in carbon steel with black leather or white painted steel with white leather. Made in Brazil.